John McCain said in a speech to the American Red Cross, “War is wretched beyond description, and only a fool or a fraud could sentimentalize its cruel reality.” Music does, however, have a way of shaping reality. An unshakable music school endures war in a village in Eastern Ukraine; the basement of the school serves as a shelter from artillery fire. The nonprofit Spirit of America is providing the funds necessary to repair the building and embolden the school’s sense of mission and hope. “Music helps fix the problems of children in war. We just want to continue the work we were doing before the war,” said Inna Vertsanova, the school’s willful proprietor and teacher. In 2014, Russian-backed separatists began fighting Ukrainian government forces in eastern Ukraine. The population in the area divided between those who support Russia and the separatists and those more supportive of the Ukrainian government. Russia denies any direct role in the fighting. Lt. Col. Oleksandr Gvozdkov, a Ukrainian Army officer, identified the school—and the Russian-speaking Ms. Vertsanova—as an important symbol of national unity and resilience for the community. But, he said, with the Ukrainian government straining under the cost of the war, there was little money to support the school. Ukraine, the largest country wholly in Europe, is critical to USAID’s efforts to assist in the transformation of the region by establishing democratic institutions and processes, supporting competitive economic growth and integrating into regional and global markets. The 2012‐2016 Country Development Cooperation Strategy (CDCS) for Ukraine focuses on a targeted development assistance program to support democratic processes, advance economic growth and prosperity, achieve greater integration into European structures, and support the goals of U.S. Presidential Initiatives in Global Health (GHI) and Global Climate Change (GCC). NPQ once asked what donors and nonprofits should do in the face of political ambiguity and stark need in Ukraine, especially in support of their civil society. 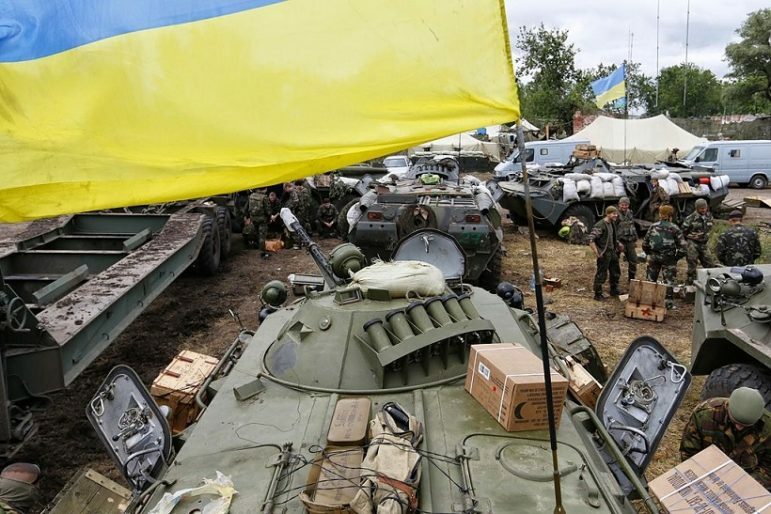 Ukraine’s president and U.S. leadership regarded Russia’s humanitarian aid as an act of aggression. Supporting Vertsanova’s music school serves as one response to the question of what to do for the people of Ukraine during their ongoing conflict. The radioactive dogs of Chernobyl descend from pets left behind in mass evacuation after nuclear disaster.